As we reported a few week back, Sony was planning to release a new starter pack in PAL territories. This move has now been confirmed according to several sources. However, Sony has mentioned that different regions will be getting different starter packs. 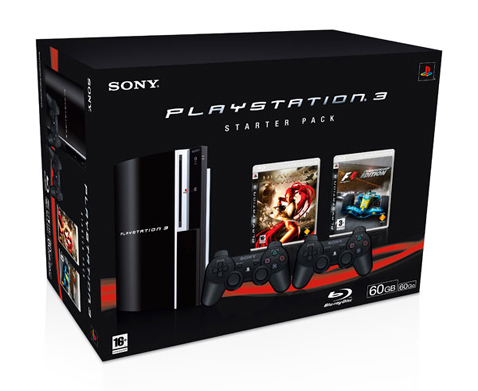 On September 19th, France will be getting a new starter pack containing the PS3 console. Heavenly Sword, F1 and an extra controller. Depending on the region, freedom to change the titles is up to the individual markets based on their unique conditions.